We are specialized in chauffeured luxury limo service to and from Denver International Airport (DIA). We serve all the Denver area and the entire state, plus we are available for weddings, corporate events or travel, nights on the town, concerts, graduations, birthday parties. With us, you will reach your destination on time, in style and in a safely manner. 303 Denver Limo has the right car for every occasion and knows how to complete any travel experience with reliability and precision. 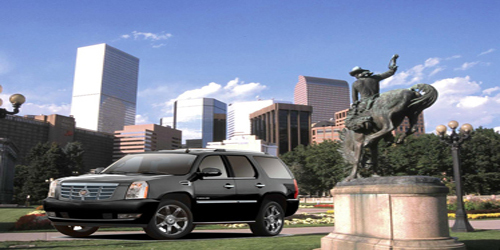 303 Denver Limo provides Denver airport transportation service. We are one of Colorado’s premier private transportation companies, offering our clients high-class airport transfers and luxurious vehicles that can please and satisfy any need and request. 303 Denver Limo prides corporate style sedans, stretch limousines and SUV’s at affordable rates. Booking your Denver airport transportation is easy! We provide all the information on our website or you can call our customer service, where an expert team of operators will assist and advice you on the best option, package, or any question you may have.A trip from denver international airport in one of our vehicles is sure to be a memorable event, an unique time dedicated to you, to your well being and to your priorities. The ride from the airport will stop being the stressful part of your journey when relying on 303 Denver Limo’s services. Arriving at or departing from your vacation will be a hassle-free experience. When our guests arrive at Denver International Airport, our chauffeur will already be there, waiting at baggage claim, ready to take you to your freshly cleaned limousine and drive you to your destination.When our guests departure, the chauffeur will pick you up and get you to the airport on time and with style. Our drivers check to make sure your flight is on time or if there is a delay, they will inform you on any variation and they will be there when you land. Our mission is to provide efficient, safe, affordable and one-of-a-kind Denver airport transportation service. Our clients remember 303 Denver Limo as the limousine company that offered superior service and first-class luxury. 303 Denver Limo ‘s drivers are specialized professionals, skilled and experienced, but also fun to talk to. Our chauffeurs know how to get clients on time to their destination, they know how to avoid jammed traffic and how to maintain safety on top of their priorities.We operate 24 hours a day, all year long, our punctuality, professionalism and devotion to client satisfaction gained us the respect and reputation we enjoy today.